The Abu Dhabi Pet Show takes place later this month and many parents will go home with their children asking for a pet of their own. Local vet Dr Katrin Jahn reveals what you need to know when buying your first furry friend. It’s a date with destiny every parent has to face: the day when your kid asks if they can have a pet. But working out what kind of companion to get your overly keen little one isn’t as easy as you think. There are lots of things to consider, from where you live, to how much bills from the vets could cost. 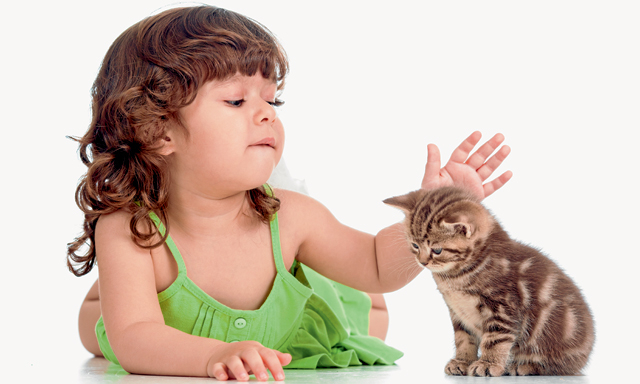 The Abu Dhabi Pet Show 2013 takes place at the Du Forum on Friday, March 15 and will give kids a chance to learn more about cats, dogs and more. It’s an educational fair designed to raise awareness of animal welfare and to educate about products, food, health and training. Entrance to the show is free and families can even bring along their own pets and enter them into competitions such as best dressed. Plenty of entertainment is also lined up, such as a petting zoo and pony rides and there’ll also be experts on hand to give advice to parents and children alike. Owning a pet in Abu Dhabi is a big challenge that can sometimes overwhelm a family. And if you’re planning on a new furry friend, you’ll need to seriously consider your lifestyle before making the decision. Otherwise your new pet could end up with the city’s other stray cats and dogs. Abu Dhabi Pet Show, Du Forum, 2pm-8pm, March 15. Entry is free. German Veterinary Clinic, Khalifa City A, info@germanvet.ae (02 556 2024).